This is Laura. Apparently! We had never seen her until Japanese game site Famitsu, it seems, accidentally leaked the character today. 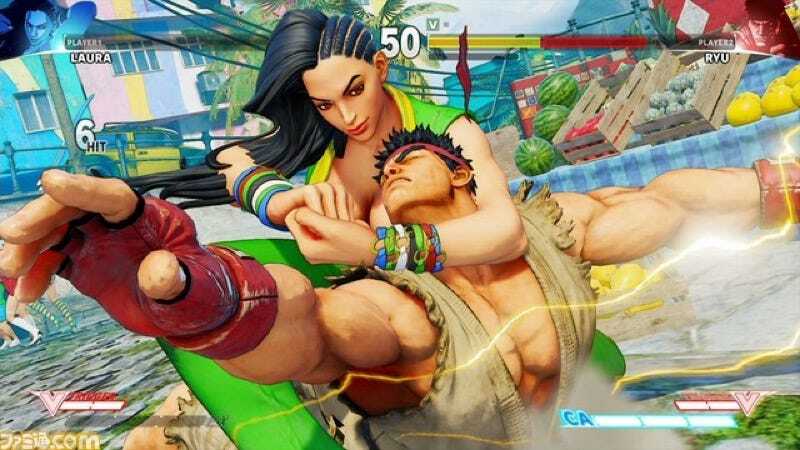 On Famitsu.com, it looks like the Laura screens were mixed in with the announcement images of Zangief, whose return was officially announced today. The Laura screens (for example, here, here, and here, apparently) have since been scrubbed from the site. Japanese website Shukan Umejin (via Hachima) has the MIA Famitsu screens. Guess she’s Brazilian and has electrical powers?